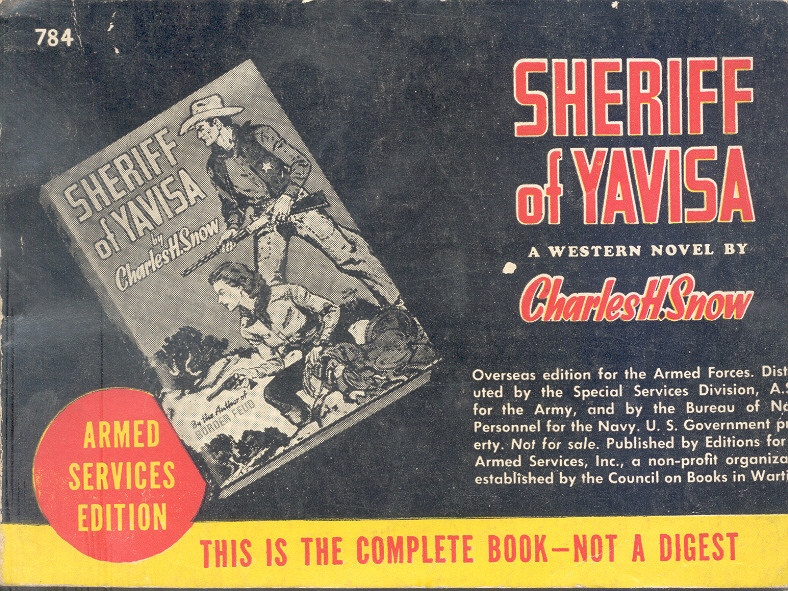 Here is a third title published by Harlequin Books as well as an Armed Services Edition. 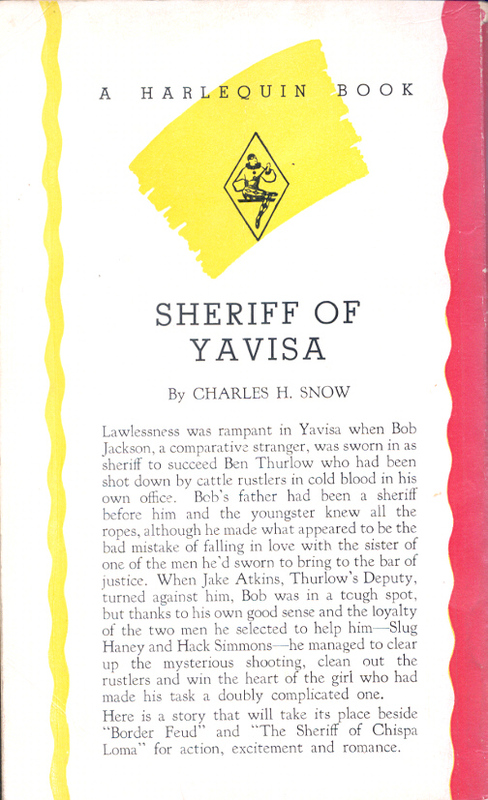 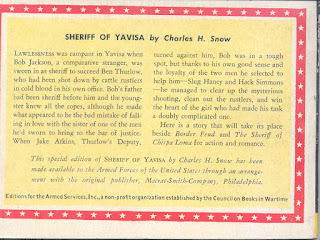 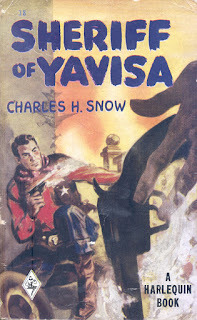 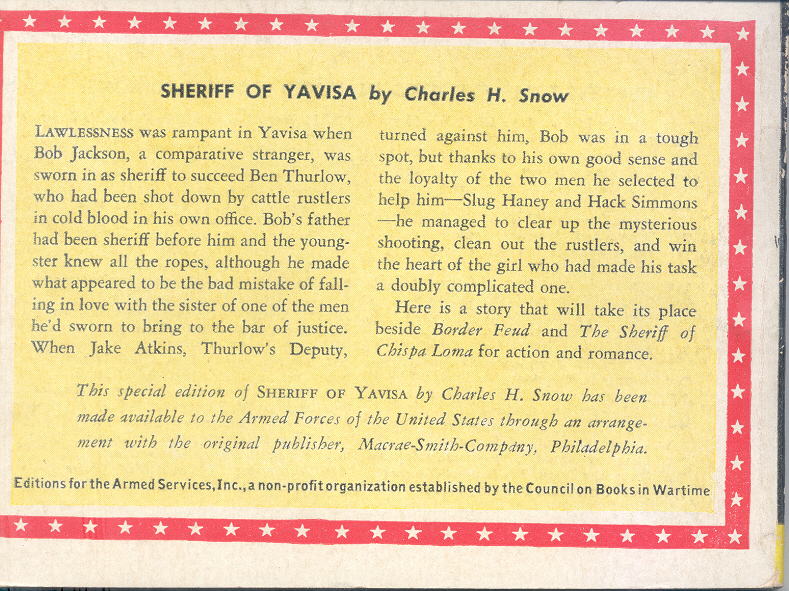 Sheriff of Yavisa was published in 1941 by Macrae Smith, one of over 450 novels by Charles Snow (1877 - 1967). 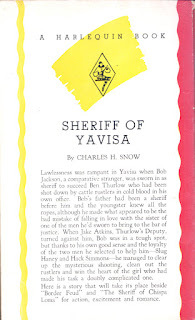 It is one of 73 westerns published by Harlequin between 1949 and 1959. 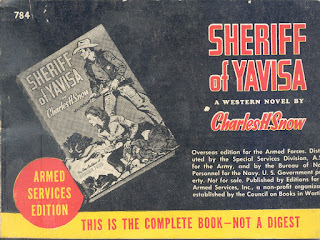 In the first post in this series I introduced the Armed Services Editions and talked about one of the 10 books in that series that were also published by Canadian paperback publisher Harlequin. 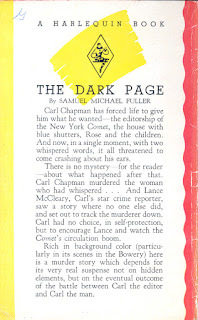 Here is another. 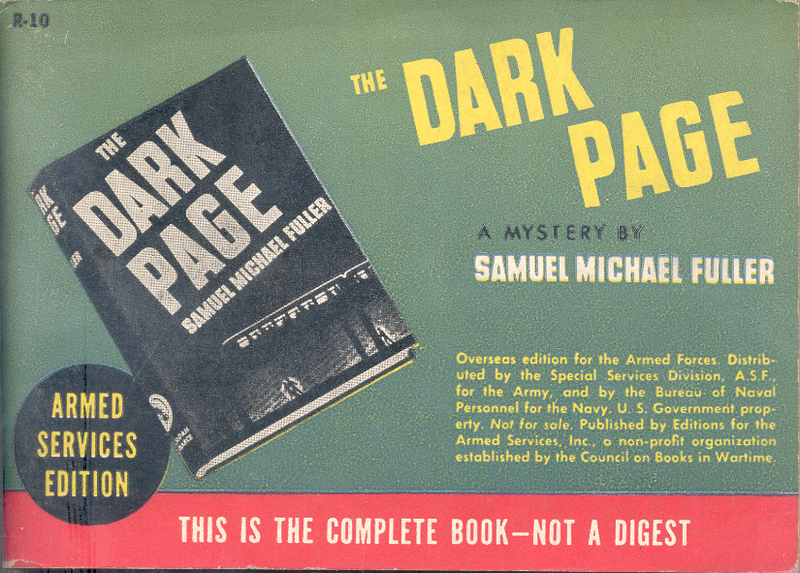 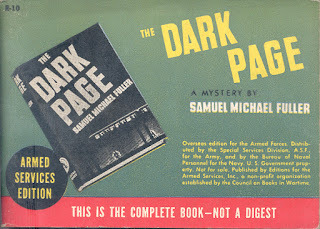 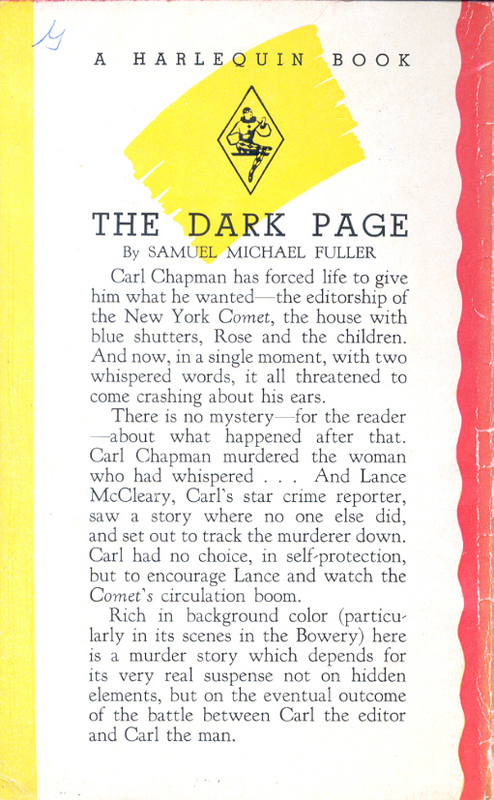 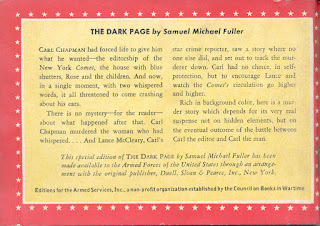 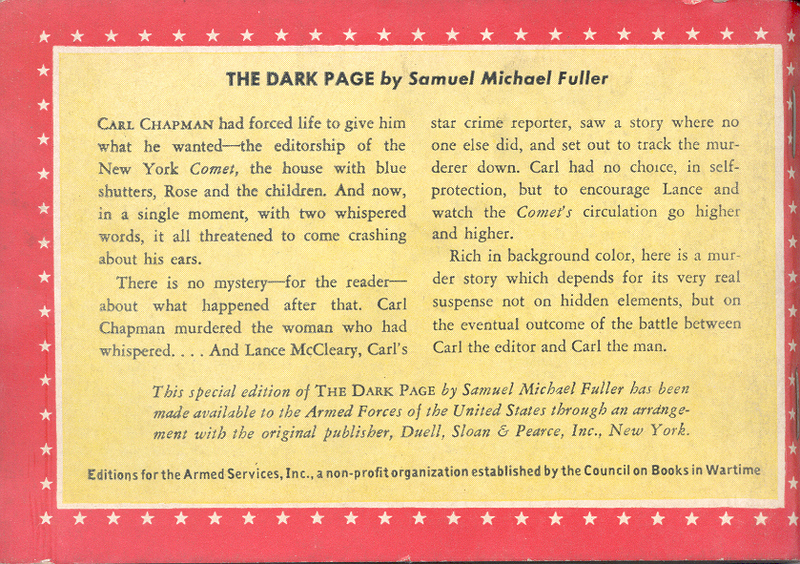 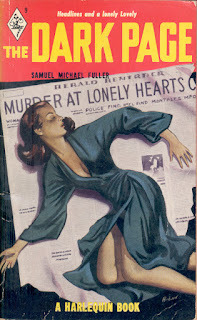 The Dark Page by Samuel Fuller (1912-1997) was published by Duell, Sloane and Pearce in 1944. 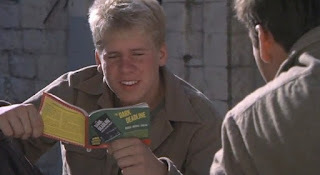 There is an appealing reference to it in his 1980 film The Big Red One.